For example, activists mapping oil contamination from the BP oil spill and those mapping water pollution in the Gowanus Canal have thoroughly documented their work on the Public Lab platform, publishing research notes as well as embeddable web maps at MapKnitter.org. They have also achieved widespread media attention for their work, as well as, in NYC , a place on the EPA community committee involved in the canal cleanup project. MapKnitter is our oldest codebase, and for four years has provided a free and open source means to place, rectify, and stitch aerial photographs together; in particular those collected using Public Lab's open hardware Balloon Mapping Kit. 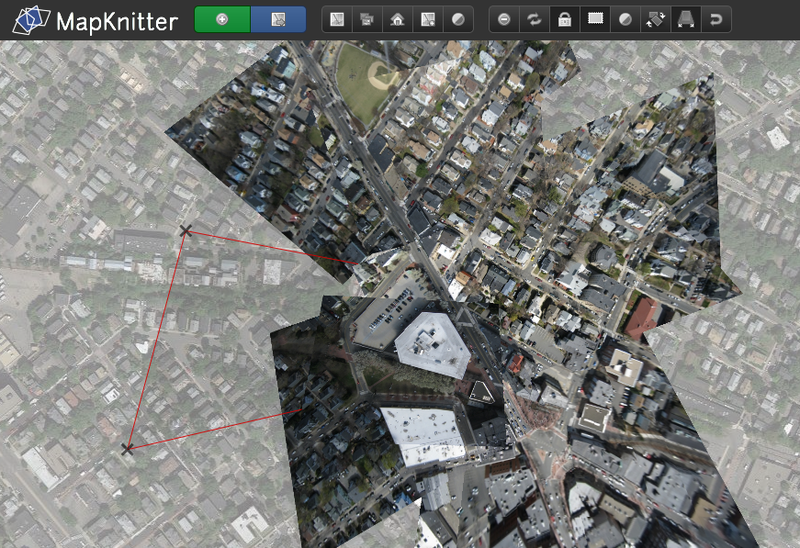 Users upload images one by one onto a base reference map, and align them in a web-based GIS system. Completed maps are exported into standard formats including TMS, GeoTiff and more. 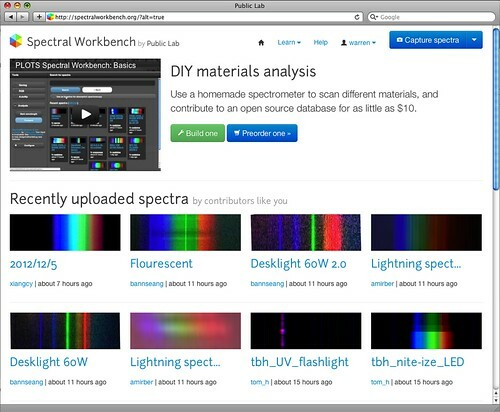 SpectralWorkbench.org hosts an archive of open source spectra collected with Public Lab's open source spectrometer. The website enables collaboration to refine and improve sample collection and analysis techniques to identify a growing number of materials. We imagine eventually hosting a comprehensive open library which can help to investigate chemical spills, diagnose crop diseases, and identify contaminants in household products. 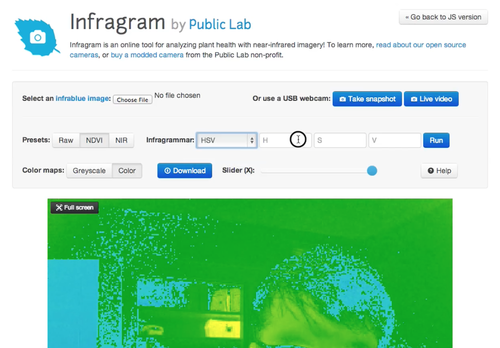 Infragram.org, our newest open source codebase, provides real-time multispectral image compositing for crop and vegetation analysis, as well as hosting of resulting open source images for the Public Lab collaborative research community. Users can upload images for analysis or even directly connect modified multispectral cameras and composite live video. 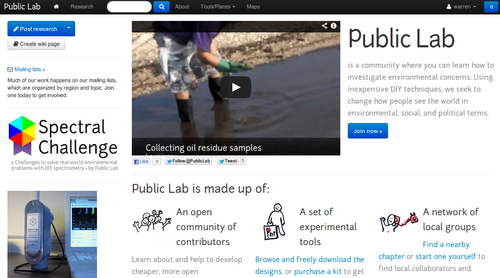 The online research sharing platform we’ve created at PublicLab.org provides a powerful -- and free -- means for local groups to publish and promote their work, and supports their advocacy by helping to organize events, coordinate data collection, storage, publication, and outreach.